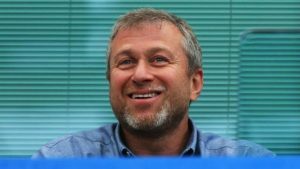 Chelsea are insistent that Roman Abramovich remains committed to the club amid a report in the Sunday Times that he wants to sell the Stamford Bridge side. The report says that the oligarch’s directors have appointed advisers from merchant bank Raine Group to conduct a strategic review at Chelsea. The Blues’ stance on Abramovich’s continued interest in the club has remained consistent, despite him pulling the plug on the £1 billion ($1.28bn) stadium redevelopment plans, as his UK investor’s visa was delayed as part of a government review. In June, it was reported that Sir Jim Ratcliffe had failed with a £2bn ($2.57bn) bid for the club, and Chelsea again used that opportunity to reiterate Abramovich’s desire to continue running the team. Abramovich took a hands-on role at Chelsea over the summer, as he was involved in appointing Maurizio Sarri in Antonio Conte’s place at the helm of first-team affairs. He attended Sarri’s second game in Nice and he was involved in discussions around transfer activity, with his appointed director Marina Graniskovaia still leading the club on his behalf. The club was bought by Abramovich in 2003, heralding what has been the most successful time in the side’s history. Chelsea have won 15 trophies in 15 years, making them the most successful English club in that period. Chelsea’s fans held up a banner in support of their owner at their first home game of the season to mark his milestone year at the club.